As with any symptom it is important to seek medical advice. However, if your client's GP finds no abnormalities they may consider hypnosis to help alleviate the symptoms. 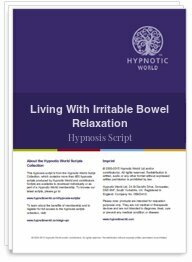 Hypnosis uses relaxation techniques together with creative visualization aimed at relieving the stress that is causing IBS.